Historically, the legal relationship between the hotel owner and the hotel operator was that of a principal-agent, with the hotel operator acting as the owner’s agent. Under the typical hotel management agreement (HMA), the owner would cede day-to-day control of the hotel’s operations to the operator (subject to approval rights of the owner over certain major decisions), and the operator would agree to act on behalf of the owner and in the owner’s best interest. Such a relationship, whether expressly labeled as such or not, is legally a principal-agent relationship. There are some benefits to the hotel operator of being the owner’s agent. For example, if an agent acts within its prescribed authority and discloses its agency to third parties, the agent should have no any liability to such third parties. However, a recent series of court cases have shown a spotlight on the downside of the principal-agent relationship for operators, such as the imposition of fiduciary duties and the ability of a principal to revoke the agency and terminate a long term contract at will, even under a so-called “no cut” HMA. Accordingly, more and more hotel operators have been looking for ways to avoid the principal-agent relationship altogether. What’s at stake? Consider the 1998 case of 2665 Woodley Rd. Joint Venture v. ITT Sheraton Corp., where a federal court in Delaware allowed a hotel owner to terminate a hotel management contract with Sheraton 30 years prior to the expiration date and found Sheraton liable for $51.8 million in damages ($15 million for actual damages; and $35 million for punitive damages) for mismanagement and breach of fiduciary duty. According to the decision, Sheraton accepted kickbacks from its vendors in exchange for lucrative (often exclusive) contracts at Sheraton-managed hotels. These “preferred vendor rebates” allowed for the management contract to be terminated and exposed Sheraton to liability for punitive damages. This result was only possible because the operator was legally an agent of the owner. After the Woodley Rd. decision, many operators tried to draft their HMAs with express waivers of agency and/or fiduciary duties. Whether such waivers are enforceable depends on the underlying applicable state law. There has also been a trend towards characterizing the hotel operator in the HMA as an “independent contractor,” rather than an agent. For such a characterization to hold up in court, an independent contractor must be granted far greater independence to act than an agent. While an operator under a typical HMA does have broad discretion, its rights are not unfettered. Thus, it is unclear whether merely labeling a hotel operator as an independent contractor is enough to avoid creation of the principal-agent relationship, if the terms and conditions of the HMA otherwise seem to create an agency. One way to resolve such ambiguity is to change the law. In 2004, the state of Maryland enacted Title 23 of the commercial law section of the Maryland Code, which states that: “[i]f a conflict exists between the express terms and conditions of an operating agreement and the terms and conditions implied by the law governing the relationship between a principal and agent, the express terms and conditions of the operating agreement shall govern.” Accordingly, many larger operators now have HMAs that are governed by Maryland law. (2) the hotel management company in such case had “unfettered discretion” over the operation of the hotel. Based on the above, from an owner’s perspective, the goal should certainly be to hire an operator who is willing to act as the owner’s legal agent under an HMA. Operating a valuable hotel for an owner is a position of enormous trust. Shouldn’t the operator in that situation be willing to accept its role as an agent, with all of the attendant legal implications of doing so? It also appears that in many states (excluding Maryland), the law may impose a principal-agent relationship on the parties to a typical HMA arrangement by operation of law, even if the HMA labels the operator as an independent contractor. That being the case, why go through the trouble of trying to call a principal-agent relationship an independent contractor relationship, if the court is simply going to set aside that label anyway? On the other hand, operators have good reason to want to avoid a principal-agent relationship. From the operator’s point of view, it is the owner that will ultimately reap the lion’s share of the profits from the ownership of the hotel, not the operator. The operator’s upside is limited to its management fees. So, why, the operator’s argument goes, should the operator be potentially exposed to millions of dollars in punitive damages? In addition, it is well established law in most states that an agency may be revoked at any time by the principal. While the Eden Roc case holds that even an HMA not involving a principal-agent relationship can be terminated by the owner (because the HMA creates a personal service contract), this case may not apply outside of New York. Thus, there is an argument that it would be harder for an owner to terminate an HMA “at-will” if there no principal-agent relationship. Whichever side you may land on, the legal relationship between the owner and the operator is an important issue to deal with as part of the HMA negotiation process. It should be thoroughly discussed with legal counsel, so that the owner and the operator each knows where they stand. This month’s article was co-authored by two lawyers from the Boston law firm of Sherin and Lodgen LLP: Joshua Bowman and Kathryn Hayes. 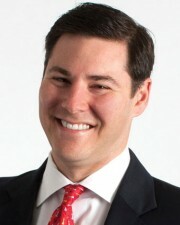 Bowman is the chair of the firm’s hospitality practice group and a well-known hospitality attorney. 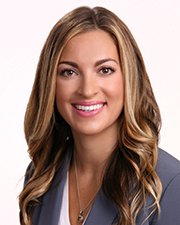 Hayes is an associate in the firm’s corporate department and an active member of the firm’s hospitality practice group.